In order to shed light on this topic, first we need to understand some basics about light. Light can be thought of moving in a wave-like form. Instead of going in a straight line, light (which is really electromagnetic energy) travels forward in an up and down wave—like a squiggly line. 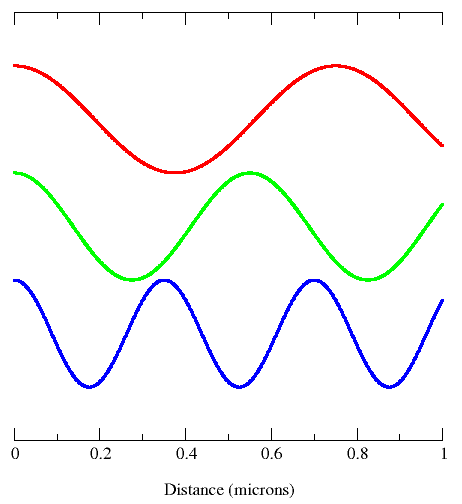 The size of the wave (often called wave length) determines the color of the light. But how does our brain know what color this electromagnetic wave of energy actually is? This is where the eye comes in—and, more specifically, the retina. 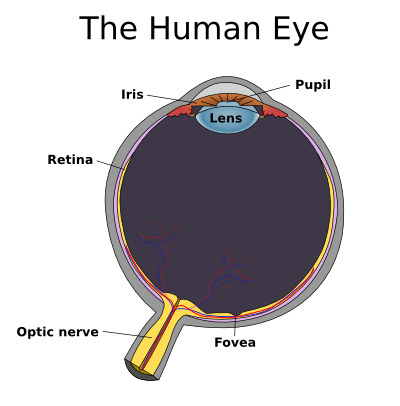 Since light needs to be transformed from an electromagnetic signal to a biological signal, the retina serves as a highly specialized structure to detect light. When light travels into your eye, the signal is picked up by cells in your retina called photoreceptors that are dedicated to sensing certain wavelengths of light. Photoreceptors have a protein called ­opsin that temporarily changes its structure when it interacts with different wavelengths of light. In turn, there is a biochemical cascade of events that result in neurons from the retina carrying the signal (the color blue, for example) into the visual cortex of the brain. 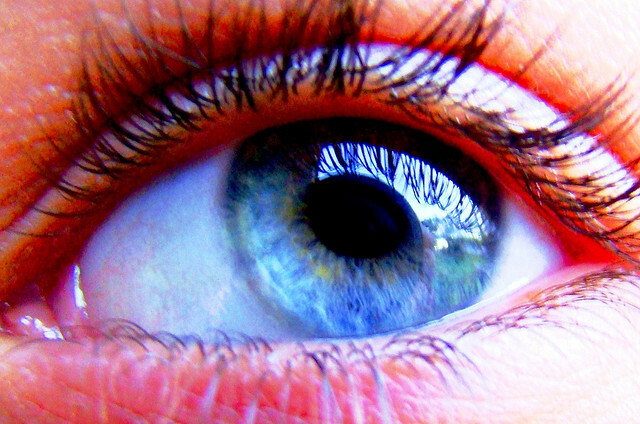 While I am still uncertain if my blue is the same as your perception of blue, what I do know is that the signal comes from the same place (a wavelength of light), it is converted to a biological signal in the same way (opsin protein in the retina), and is carried to the same place (visual cortex of the brain).